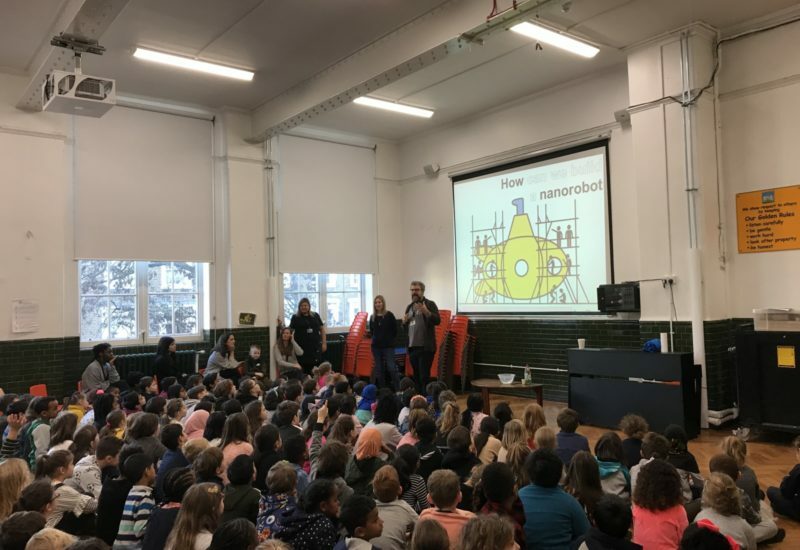 What better way to kick off Science week than inviting real scientists into our school to teach us about nanorobots! 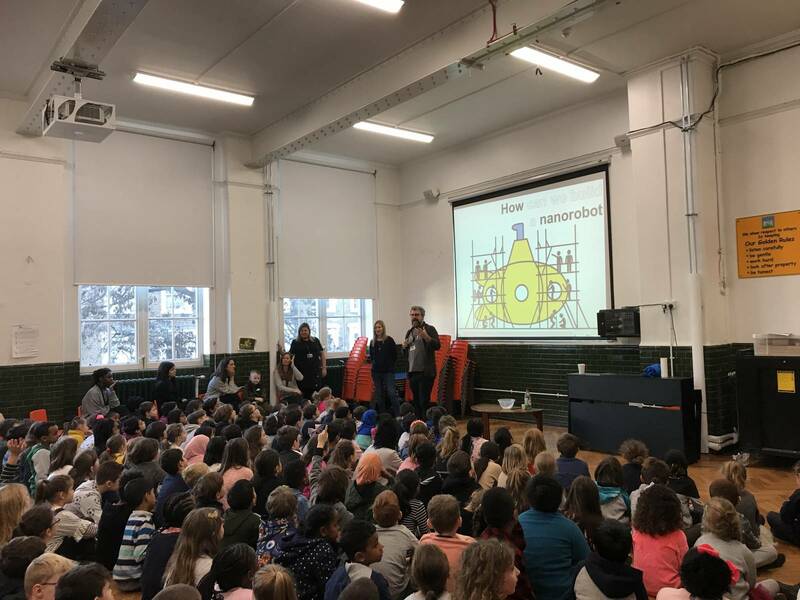 The whole school enjoyed a brilliant assembly led by fantastic Primrose Hill parents, Beppe and Lorena. 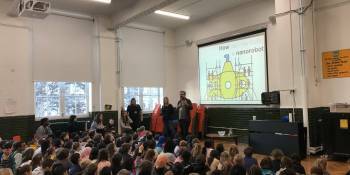 It was fascinating to learn how nanorobots help move medicine to the right parts of the body. The children (& adults!) were amazed by the thought that you could fit 1,000 nanorobots in a single strand of hair!